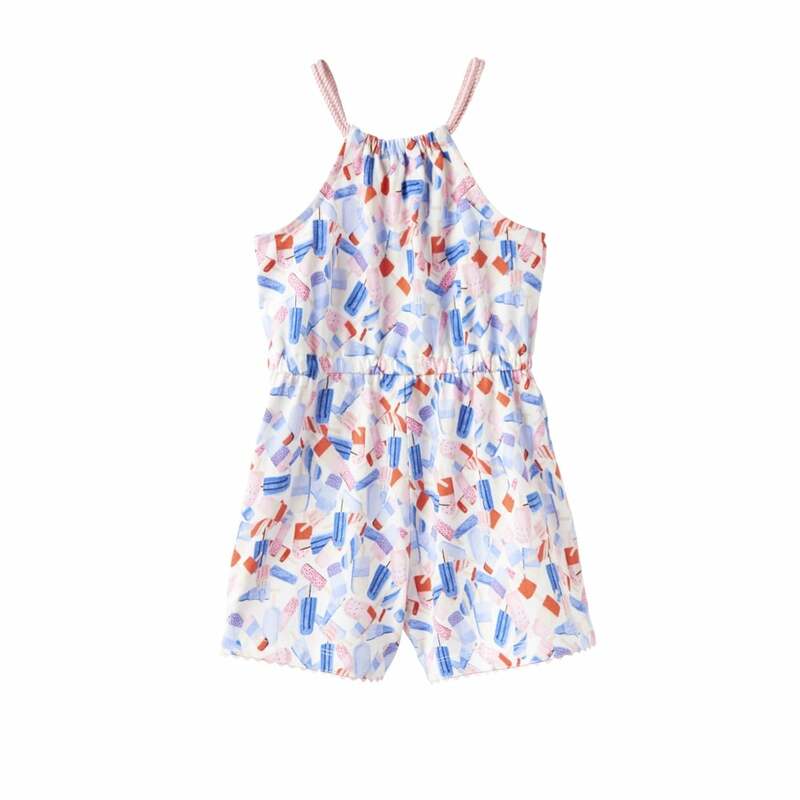 Created in a fun ice-lolly print this romper suit is perfect for summer adventures. Featuring a rope-style strap its easy to get on and off and a gathered waist gives added detail. Perfect for a day at the beach.